Social media management platforms can save time. This is especially the case for companies and individuals that maintain a presence on multiple social sites, such as Facebook, Twitter, and Google+. But is one management platform better than another? Many platforms share similarities, such as the ability to schedule posts and add photos or videos. Beyond that, the features — i.e., price, social networks to choose from, posting interface — greatly vary. In this post, I review pros and cons of Hootsuite, a popular platform utilized by many smaller businesses. 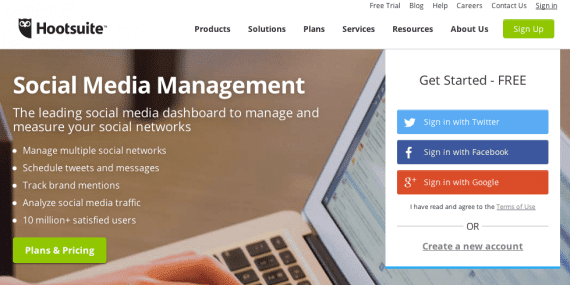 Hootsuite social media management platform. Access to many social networks. The primary advantage to using Hootsuite is that it connects to more social networks than any other such tool with which I am familiar. Hootsuite connects with prominent networks like Facebook, Twitter, and LinkedIn, as well as Instagram, Foursquare, WordPress.com, and lesser known sites, such as Mixi. The number of social networks that Hootsuite users have access to is determined by their account level: Free, Pro, or Enterprise. The Free version is limited to three networks. At $9.99 per month, the Pro version is probably a better choice because it allows access to more social networks and profiles within those networks — where users can have one profile for their personal Facebook account and another for business accounts (or multiple business accounts). All-in-one interface. Another advantage to using Hootsuite is the interface, which is organized by tabs, allowing users to divide engagement activity into social networks and streams. 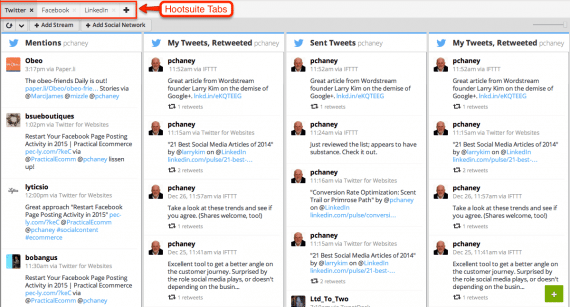 The Hootsuite interface is organized by tabs. For example, one tab can contain all the personal social media sites to which a user subscribes while another contains the user’s business accounts. Alternatively, as in the example above, users can assign individual tabs to Facebook, Twitter, LinkedIn, and so on. Streams enable users to segregate content within each social network. Using Twitter, for instance, a user can have one stream for her home feed, another for posts, and still another for direct messages. Out-of-the-way posting interface. I was never satisfied with Hootsuite’s posting interface in previous versions of the platform. 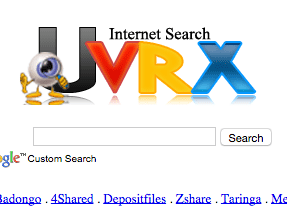 The social network icons on the interface were small, making it difficult to determine which sites were being posted to. Also, the interface was too compact and seemed almost like an add-on rather than an integral part of the platform. Hootsuite’s most recent version, however, has improved this. It’s now easier to use, but still out of the way until needed. Mousing over the “Send to” or “Compose message” fields causes the interface to open, revealing a more expansive message area and a bigger, more readily identifiable list of social network profiles. The posting interface has been enlarged in the most recent version. Unique app directory. A feature unique to Hootsuite is a directory or library that supplies access to more than 100 apps, such as apps for YouTube, Salesforce, Google Drive, and SoundCloud. According to Hootsuite, the apps give users the ability to monitor social networks and sites other than those in the default list. The YouTube app, for example, enables users to schedule and bulk upload YouTube videos while the Salesforce app places that customer-relationship system directly inside Hootsuite. 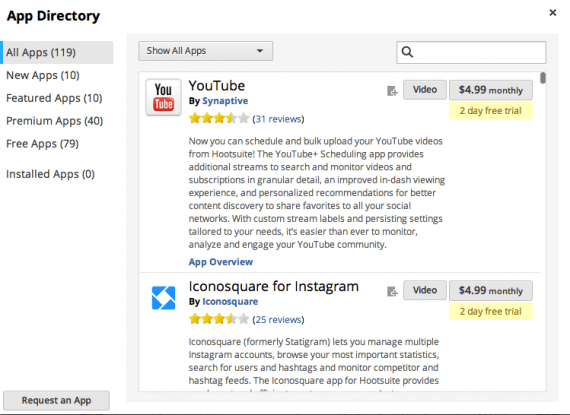 Hootsuite includes access to more than 100 apps. Interface can be confusing. What are advantages for some Hootsuite users can become drawbacks for others. For instance, having so many social networks and profiles appearing in the interface, especially at the Pro level, can get confusing given the fact there is so much activity taking place within any one tab. For me, the interface tends to be somewhat overwhelming. I prefer something a little less crowded. Longer learning curve. For those who favor simplicity, another disadvantage is the number components Hootsuite offers, such as the following. Analytics. Hootsuite can incorporate analytics from Twitter, Facebook, LinkedIn, Google Analytics and its own Ow.ly shortened URL metrics. Assignments. Hootsuite is designed for use by teams (for bigger organizations or agencies with several staff members assigned to manage social network accounts). That’s helpful for some, but is unnecessary for one or two people. Contacts. Hootsuite can import profiles of Twitter list members and Google+ Circles. App Directory. While access to apps is nice, it is yet another component to deal with. Also, some of the apps require a monthly fee above the cost of Hootsuite. It can take time to learn all of Hootsuite’s features. However, Hootsuite University, which includes many tutorials, can help. Costs can mount up. Although the Pro plan costs just $9.99 per month, adding more than one team member increases the cost — adding a second team member doubles the price, to almost $20 per month. And while most of the apps in the directory are free, some require premium subscriptions. Also, several of the analytics reports require payment, which increases the overall cost. Many smaller businesses may find that Hootsuite offers more features than they need. Businesses that are interested interested in using the features will likely need to commit hours to the learn them. Still, just because Hootsuite provides many bells and whistles does not mean users have to use all of them. The platform performs well using only the basic functions. Next week, I will address the pros and cons of Sprout Social, another popular social media management program.